On the one side, the French President Emmanuel Macron just wants to assurge as the new statesman leading the entire International community to a safer and more sustainable world, under the sign (or hashtag) #makeourplanetgreatagain. On the other side, French people do not seem to appreciate the initiatives adopted by their envi-friendly President. Since the beginning of his presidential mandate, Emmanuel Macron had to face people’s dissatisfaction for several times, while fighting at the national and international level against climate change and carbonisation. 17 November 2018: the day French people of low and middle incomes finally said “enough”. In particular, for the past two weeks, French people all over the country have been blocking roads, and shopping centres protesting against the rise of the fuel tax decided by Macron’s government. At the center of the current political debate, this tax is pointed at as the last unjust measure hitting low-earning workers. Protestors are not affiliated to any party. They organised a spontaneous movement, shaped on Facebook and led by none. 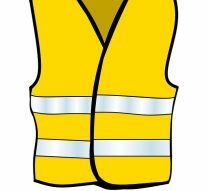 They called themselves “yellow vests” (gilets jaunes in French), in reference to the fluorescent yellow security jackets. Taking a deeper look, the social movement is a mosaic of French working-class experiences and realities, of people feeling as the leftovers of the urban elite who “can focus on the end of the world, while we’re worrying about the end of the month”, as a protestor put it to the French press. It might have started as a protest against the rise of the fuel tax, but it must be taken into account that the yellow vests’ anger stems from years of rising job instability. They demand more than just a tax lift: they want all taxes to be lowered and a “citizens’ debate” on spending power and climate change. Further, protests impacted people outside geographical borders and, for example, in La Réunion, a French overseas territory situated in the Indian Ocean, the yellow vest movement led to food shortages, schools’ closures and the enforcement of a curfew. Now people from the “quartiers”, the poorer areas of French cities where unemployment is high, are calling to protest alongside the yellow vests for their “dignity” against “Macron’s ultra-liberalism”. At first, Macron refuses to bulge on the fuel tax. His offers, including a “super prime” bonus of €4,000 when you buy a less-polluting car, were judged out-of-touch as a lot of the protesters can’t afford to buy a new car, even if they want to. He will not give up on the fuel tax. The environmental impact of such political measure is undeniable and it must be safeguarded. Even though the movement asked for a lift of this initiative, President Macron has only agreed to link it to the international oil price. Unfortunately for him, President Macron missed the chance to adopt, in the first week of protests, a comprehensive fiscal policy including high earners in the price of the ecological transition and pitching the French fight against climate change as a collective domestic effort. If everything had been disposed as we presented, the reaction would have been more measured. It is clear that the yellow vests know that the ecological transition is necessary – they just don’t want to feel like they’re the only ones paying dearly for it. The two versions of France resulting from the urban clashes and upheavals are taking shape in these days, but Macron rules only one. And it is not the France of the yellow vests.